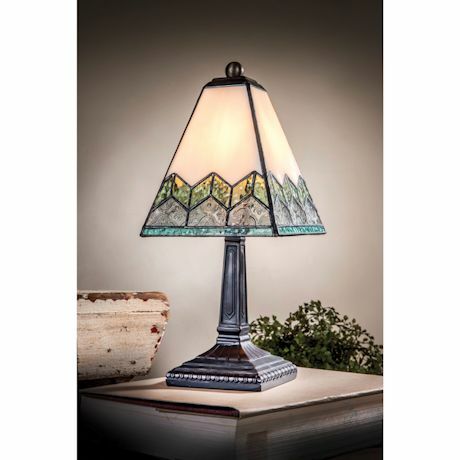 The handcrafted, stained glass shade with its elegant chevron-designed border seemingly floats above the handsome base. Tiffany stained glass, lead-free solder, UL-approved parts. In-line switch. Uses a 25-watt bulb included. 5¾" x 12½".